In his book, Zodiac Unmasked, Graysmith claimed that Allen had known and even stalked all of the Zodiac victims. He repeated this claim during many television interviews and stated Allen could be placed at the scenes of all Zodiac crimes. Extensive investigation by police and others has consistently failed to produce any credible evidence linking Allen to any of the victims and Graysmith has provided no evidence to support these claims. Graysmith and others often refer to this event as a “positive identification.” The report the detective submitted to the Vallejo police department at the time reveals that the witness also pointed to the photo of another man and said, “He had a face like him.” When asked to rate his identification on a scale from one to ten, the witness gave himself a grade of eight. The Vallejo police department did not consider the statements of the witness to be a positive identification and had little faith in his ability to identify a man he glimpsed only for a moment in a dark parking lot more than two decades earlier. This questionable eyewitness identification was the only evidence to indicate that Allen could be placed at the scenes of any Zodiac crimes. In Zodiac, Graysmith claimed Allen “had been fired from a job at a gas station the week before (Ferrin’s) death. A friend of (Allen’s) parked his Ford sedan there overnight to be repaired.” Graysmith theorized that Allen used the car on the night of Ferrin’s murder. Police had investigated this possibility in 1971 and learned that the friend had parked the car at the station for more than two weeks during the summer of 1969, but neither Allen’s friend nor the station owner could recall if the car had been at the station on the night of the crime. Allen had lost his job at the station more than three months before the night in question and police determined he most likely did not have access to the vehicle at the time of the shooting. 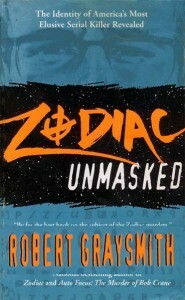 In Zodiac Unmasked, Graysmith accurately stated that the friend had left the car at the station for two weeks in an attempt to sell it, but then told readers that the friend had left the car for repairs and even described a detective’s fictional desperation to locate a nonexistent repair invoice. Graysmith also attempted to revise Vallejo geography on page 425 of Zodiac Unmasked. The author claimed to have discovered a “hidden road” that led him “in a dead straight line” from the crime scenes to Allen’s home. Graysmith claimed the road was so well hidden that he had to make an “abrupt turn” to make this sensational discovery. 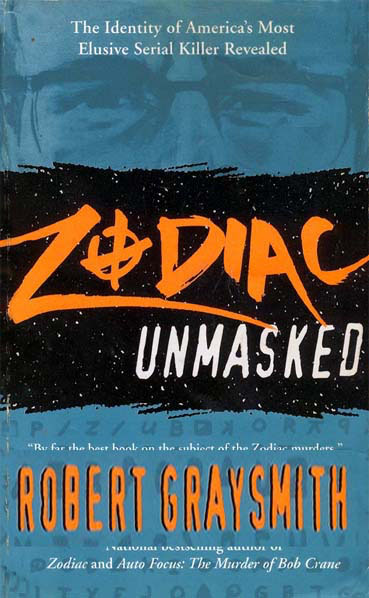 In June of 2003, several Zodiac researchers drove the streets of Vallejo in an attempt to locate the road Graysmith described but were unable to do so using the information provided in the book. Telephone requests for assistance from the author went unanswered. Further research proved that Graysmith’s phantom road does not appear on maps from the 1960s or today, and, in fact, never existed. Zodiac stated that Allen terrified his family, and that they had suspected he was the Zodiac. Graysmith repeated these claims in Zodiac Unmasked, and even suggested that Ron Allen’s wife, Karen, had been the source of several anonymous calls to police regarding Allen in 1969. Police reports state that both Ron and Karen were surprised to learn Allen was a suspect and did not believe he was the Zodiac. Graysmith also claimed that Karen Allen had seen bloody knives on Allen’s car seat despite the fact that the very police reports Graysmith used as his source state that Allen himself had mentioned the knives and there was no evidence Karen had seen them. On page 200 of Zodiac Unmasked, Graysmith presents a drawing he claims Karen Allen produced while under hypnosis using “automatic writing.” The drawing allegedly proves that Allen was in possession of Zodiac-like codes long before the killer’s codes appeared in the newspapers. Karen Allen was never hypnotized, and she never produced the drawing shown in Graysmith’s book.